The Capitola City Council held a public meeting on January 11, 2018 to discuss rail and trail options on the Santa Cruz Branch Line corridor. The rail corridor passes through the heart of Capitola, and the future use of the corridor is of great concern to many who live in or visit Capitola by the Sea. The council heard from a proponent of “rail with trail” and also a “trail only” advocate. The invited guests were Mark Mesti-Miller, a leading advocate for “rail with trail” and Bud Colligan, local philanthropist, activist, and a founding and leading member of the Santa Cruz Greenway initiative. The council chambers were packed; it was standing room only, and people were invited to sit in the overflow room next adjacent to the council chambers. Before the presentations, the mayor of Capitola, Mike Termini, asked for a show of hands as to who was in favor of having a train, and who was in favor of a trail only. It seemed that perhaps twice as many hands were raised in favor of a trail only. You can listen to an audio-only version of this meeting! Check out the Bay to Bay Podcast and listen to it in your car, during a walk, at the gym, or wherever! Each speaker was given twelve minutes for his presentation. Mr. Mesti-Miller spoke first, after which Mr. Colligan spoke for an equal length of time. After their presentations, each was given a three minute follow up presentation where they could rebut claims made in the other’s initial discourse. Members of the community were also invited to make comments. Dozens of people rose to speak. It seemed as if the speakers were evenly divided between those who wanted to see passenger rail service and those who were in favor of a “trail only.” A number of people urged the council members to make a public recommendation in favor of one scenario or the other before the completion of the Unified Corridor Investment Study (UCS), slated for fall 2018. The city council of Scotts Valley did recently endorse Greenway’s vision, and the Greenway folks were hoping that the city of Capitola would do like wise at this meeting. However, towards the end of the evening, the city council decided that they would indeed wait for the UCS study to be completed before making any public proclamation one way or another. Notably, three of the four council members did say that they were at this point favoring the Greenway’s “trail only” proposition. The fourth council member did not say which outcome he favored. If this meeting held at the city of Capitola is any indication of public sentiment regarding the future use of the rail corridor, it seems that the trail-only solution will win out. Tide is simply the very highest tide, and the flip side is a very low tide. When the tide is very low, it’s possible to walk from New Brighton Beach to Capitola Beach, right along the base of the cliff, without having to get wet. My wife and I decided to take the kids for the walk, because this kind of super-low tide doesn’t happen every day. The weather was fine, just a tad under 60 degrees, with scattered high clouds. We started off from New Brighton Beach around 1 PM, with the lowest tide to come at 4:18 PM. It took us a little more than an hour to make the walk to Capitola Village, exploring the rocks and tide pools exposed by the receding waters. We checked out countless sea anemones and hermit crabs, but were unable to find any starfish. Some folks said they had seen a small red octopus, but it vanished into the rocks. We made it to Capitola shortly after 2 PM, and headed down for a late lunch at Paradise Beach Grill. By 3:30 we were again on the sand, walking back. On our way home, we ran into a lot of people we knew, so it took closer to two hours for the return trip. Which was fine, because the sunlight was sublime and it was great to be able to spend so much time with Mother Nature and so many members of our community. We are so thankful that in less than a five minute drive from our house we can get to the beach for an experience as spectacular as the one we enjoyed as a family on New Year’s Day. Before we left, our youngest boy Evan was complaining about another trip to the beach, but he was amazed by all the “discoveries” we made, frolicking in the tide pools. Another priceless family memory, courtesy of our beautiful Monterey Bay. Happy New Year everyone! I attended the Santa Cruz Children’s Museum of Discovery Grand Opening and Ribbon Cutting Ceremony on November 15 2014. I shot some video of both the ribbon cutting and a variety of the exhibits…which you could hardly see, because there were so many people there. In fact, they counted over 2,000 people through the doors on launch day! Here on this page you will find two separate videos – the first is sort of a montage of the opening day, taking you on a tour of the museum as it was on launch day. The second video is the ribbon cutting ceremony, with remarks from Patrice Keet, the museum’s founder, as well as Sam Storey, the Mayor of Capitola. The museum is off to a great start, and it has already become the new hot spot in town for kid’s birthday parties, with dozens already scheduled within the next several months. Hundreds of people have now also purchased memberships to the museum as well. Even though the museum is off to an amazing start, it’s still very much version 1.0. The museum is in need of donations: cash, materials for new exhibits, and skilled help to run and augment the museum. I you can volunteer money, equipment, or skills, please get in touch with the museum staff to let them know what you can offer. The day that many of us have been waiting for is about to arrive! The Santa Cruz Children’s Museum of Discovery opens Saturday November 15 in the Capitola Mall. The grand opening starts at 10 AM and lasts until 6 PM, when I am sure they will have to be pushing people out the doors to close. The museum is located in the space previously occupied by Abercrombie and Fitch, and is located not far from the food court, near Macy’s. Admission is FREE the first day the museum is open, and since the museum is in the Capitola Mall, there is plenty of free parking. The actual ribbon cutting ceremony will be at 10:30 AM. If you are planning on going, consider letting the world know that your’re coming on the Facebook Event page! You can also go one step further and from that page, click the “Invite” button on the upper right of the page to invite more people you know. Come and be part of this landmark – and possibly historic! – event. The Museum is sure to become a fixture in Santa Cruz county, and a cherished memory for many children as they take what they learn at the museum and weave it into the tapestry of their lives. The Santa Cruz Children’s Museum of Discovery is not actually located in Aptos – but it’s right next door in Capitola, and it’s such an amazing place that were it actually located in Aptos, it surely would be an Aptos Gem. And although it isn’t physically in Aptos, there’s no question that many Aptos children (of all ages!) are going to be spending a lot of time at the Santa Cruz Children’s Museum of Discovery. Aptos and Santa Cruz offer natural outdoor wonders which are hard to match, especially for an area which is so close to major population centers like the San Francisco Bay Area. One thing that Santa Cruz County has lacked, however, is a great place for kids to come play, learn, explore, and grow. That has all changed with the advent of the Santa Cruz Children’s Museum of Discovery, located in the Capitola Mall, and open seven days per week. Watch this video below to learn more about the museum from its founder, Patrice Keet. The Santa Cruz Sentinel is reporting that the Monte Foundation is in talks with the city of Capitola to move its annual fireworks display to Capitola. The Monte Foundation promoted an annual fireworks display in Aptos for 18 years, but the display was canceled for 2013 amid soaring costs for closing the beach and paying for security provided by the California Highway Patrol. Marc Monte, head of the Monte Foundation and owner of Deluxe Foods in Aptos, is planning to get businesses in Capitola to sponsor the display. 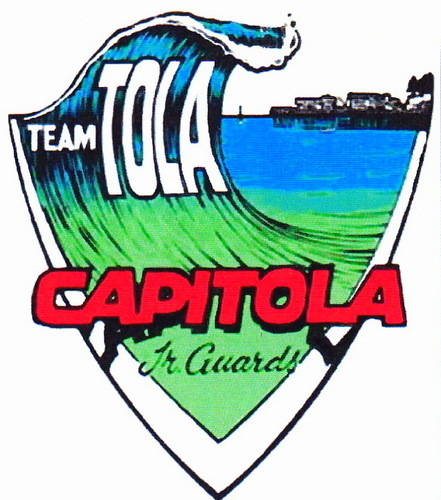 The Capitola City Council is scheduled to meet tomorrow, May 22 @ 7:00 PM to discuss the proposal to move the display to Capitola for 2014. The move is supported by many Capitola residents and businesses, and has garnered support from county supervisor Zach Friend. It’s good to see that the Monte Foundation fireworks will be returning this year, but it’s unfortunate that it’s moving out of Aptos, as it’s something that thousands of Aptosians looked forward to every year. 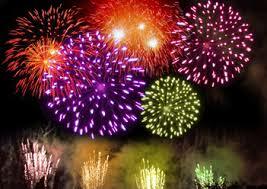 Perhaps in the future local Aptos business will be able to sponsor the fireworks to again make their showing in Aptos.